Saturday September 22nd. 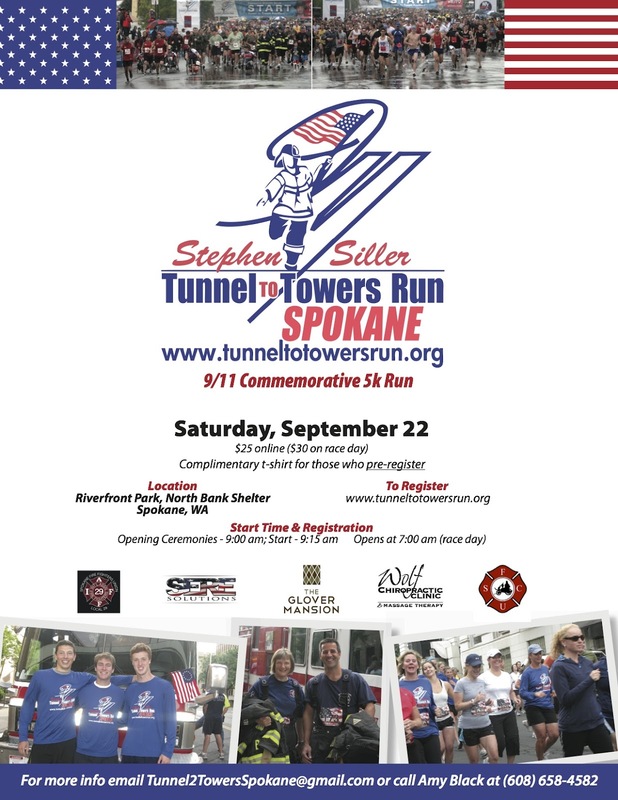 This annual run commemorates a very courageous act. 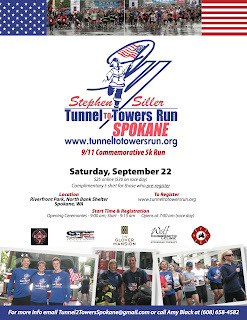 Please visit www.tunneltotowersrun.org to learn more and to register. Should be a great time! 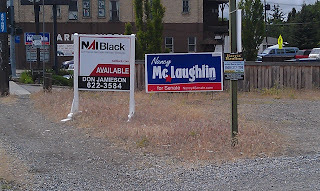 When Local 29 endorses a candidate, you will usually see the signs for that candidate in home owners' yards. 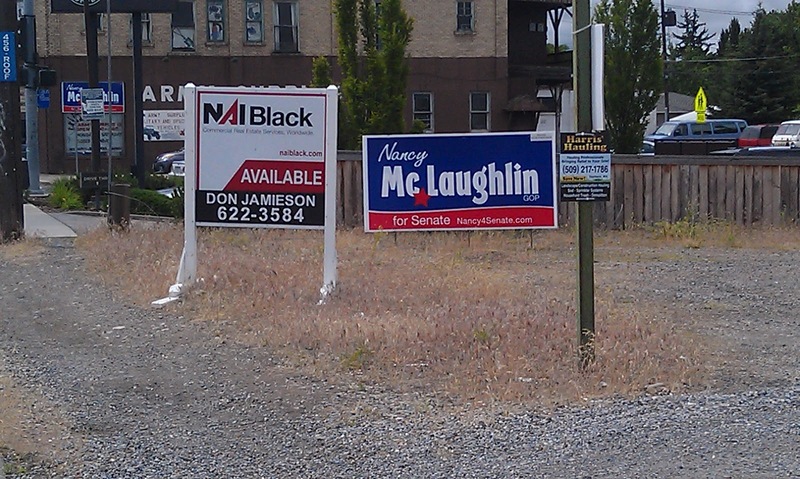 The opposing candidates usually have their signs in abandoned buildings and vacant lots. Sometimes, it's easy to forget that someone owns these neglected properties. In the case above, is it the real estate company who owns this abandoned property or are they merely representing an owner? On Monday, June 18, 2012 at 4:23 AM, 6 Companies of Spokane Firefighters, 1 Senior Ladder, 1 Heavy Rescue, 4 Engines under the direction of Battalion Chiefs Clive Jones and Dave Haworth, responded to a Structure Fire at 5510 West Woodside Avenue in Northwest Spokane. Spokane Firefighters arrived within 5-minutes to find heavy smoke and fire showing from the roof and garage of a single family house. They also reported that they had found the occupant of the home and that the patient was burned. The first arriving Chief declared a working fire which added an additional Senior Ladder company and AMR ambulance and AMR Supervisor. He also updated the situation as a rapidly progressing fire that had consumed the far west of the home and had extended to an adjacent home to the west. Fortunately, the second arriving company was Paramedic Engine E17 from the Indian Trail neighborhood. Their company began to immediately provide emergency medical care to the patient and transported the critical patient to a local Trauma Hospital. Once additional companies arrived, the firefighters commenced an aggressive attack on the fire in both homes with Engine Companies. The first arriving Ladder Company searched both of the homes for victims while the second arriving Ladder Company immediately laddered the roof and manually cut a ventilation hole above the fire. The well coordinated effort of firefighters confined flames to the primary structure (5510) and limited the damage into the adjacent home to the west to the attack and soffit areas. The fire was declared under control in 45-minutes and companies are still on scene conducting overhaul and salvaging resident's belongings. There were no injuries reported from either residents or firefighters. The cause of the fire is under investigation by the Fire Department's SIU. There is significant structural damage and many contents have been damaged by the heavy smoke. Though loss from the fire was concentrated to the original building, the adjacent structure also suffered minor damage from the quickly progressing fire. Vehicles parked in the driveway were also destroyed. The occupant is being referred to the American Red Cross for interim placement assistance once released from the hospital as the structure is not inhabitable in its present state. Local business seeks to elect individual who would like you to not have money to spend at local business. It's a free country. I have political signs in my yard that support candidates who support labor and workers. My neighbors have signs who support the opponents of my candidates. I like my neighbors and they like me. However, if I had a business, I don't think I would put a sign up that would tell my customers that I support a candidate that wants them to make less money, have longer working hours and unsafe working conditions. I don't think I would have a sign up on my tavern that says "I support a candidate who does not believe you should have the right to collectively bargain." Nancy McLaughlin was the only city council member who voted against a nonbonding resolution that simply said the City of Spokane endorses the rights of its employees to collectively bargain. Incidentally, this is a right recognized by every industrialized nation in the world and the UN. Nancy has an ideological agenda. She has been working to make labor unions a thing of the past. She would like laborers to be making minimum wage - if that minimum wage were drastically slashed. So why would the owners of the Maxwell House, a place where union members meet, where working families gather, where some enjoy their pensions (Nancy is no fan of pensions either) by sharing a beer or two, why would they endorse a candidate who would like to shrink their customer base? Nancy seems like a nice, albeit confused, older lady. I suppose she nicely asked them to put up the sign and they did. They are probably unaware of her politics and her ideological stance against many of the Maxwell House's customers. Why, if you were a business, would you put up any sign endorsing any political candidate? Let the Maxwell House know the next time you go in that it may be your last. Not because you are boycotting the place, but because if Nancy gets in office, you probably won't have the money to go out to eat or drink - especially if you are a union member or if you are on a pension.